Approaching your cat’s litter box is never a pleasant experience. It is amazing how something so small and cute can produce such a noxious smell. If you have a kitty that has certain digestive issues, cleaning out the litter can be even worse. The good news, though, is that there is a solution to your problem. Odor control litters can do a lot to trap the scent of the waste within the litter particles. As such, they can’t escape, preventing the bad smells from permeating the surrounding air. Of course, not all of these products work the same. If you want top results, then you need the best cat litter for odor control. In case you aren’t sure where to start, this guide has you covered. Below, you will be able to learn the top tips for finding great litter while also being able to see what some of the best picks are. Cat litter mostly differs in the kind of materials that are used to create it. There are several things to think about when choosing a specific type of litter. For one thing, it depends on what you are looking for most in a litter (apart from odor control). Your kitty’s preferences and sensitivities will also factor into your decision. Clay: this is perhaps the oldest form of kitty litter around. It continues to be used today and is often mixed with bentonite to improve absorbency. The only minor downside with this clay is that the larger particles can be a bit uncomfortable for certain cats. Silica Crystals: there are other cat litters that contain silica crystals. This addition, as well, works to help the litter to absorb liquids and waste more quickly. This kind of litter may not be suitable for very young cats or those that have a tendency to eat litter. Natural Materials: many of the litters these days are made from either natural or organic compounds. The upside of such litter material is that it is eco-friendly and often quite gentle for cats as well. However, the absorbency and capabilities of this litter do depend on the quality of the individual brands. As you are aware, just because a cat litter claims to offer odor control doesn’t actually mean that it will live up to expectations. 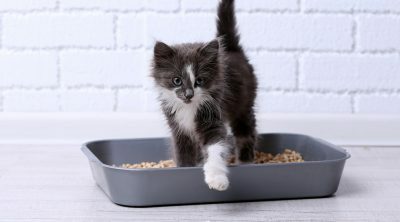 So, when selecting such a cat litter, it is important to consider the specific technique or method that has been used to control the odor. This should give you some idea whether or not that particular litter will actually be useful to you. Some odor control cat litters have an added fragrance to them. While the odor control will work to keep unpleasant smells at bay, the litter will make the litter area smell a lot fresher. However, such litter may not be suitable for cats that have sensitive skin or allergies. Also, there are some cats that are put off by strong smells and thus, may not use the litter box due to this. It isn’t just odor control that you need to be concerned with. You also need to make sure that the litter that you are buying is easy to clean up. Otherwise, you will find that this unpleasant job is made a great deal more complicated for you. One type of easy to clean litter is clumping litter. 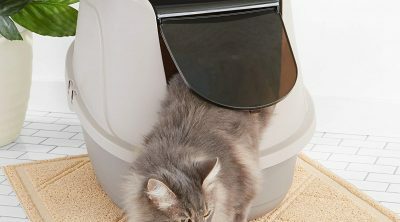 This forms clumps around the waste so that they can be extracted from the litter box more easily. Litter that can be flushed can also be a good option if you are looking for something that is incredibly low maintenance. Cats will scratch at their litter before and after they have used it. When they do so, it is important that no dust (or very little dust) rises up. Since dust can be quite irritating to many cats, you should always look for one that produces as little dust as possible. This should be a top priority if your cat suffers from any breathing or respiratory issues. Another thing to keep in mind is tracking. When your cat uses the litter box, it is inevitable that a few particles get caught to the bottom of their paws. They then carry these particles around your home, depositing them at various points. Now, for the most part, all litter will track a little. Still, to keep your work to a bare minimum, it is best to consider one that tracks less than others. Do you want to keep the litter box smell under control as much as possible? If so, then this is definitely the brand for you. 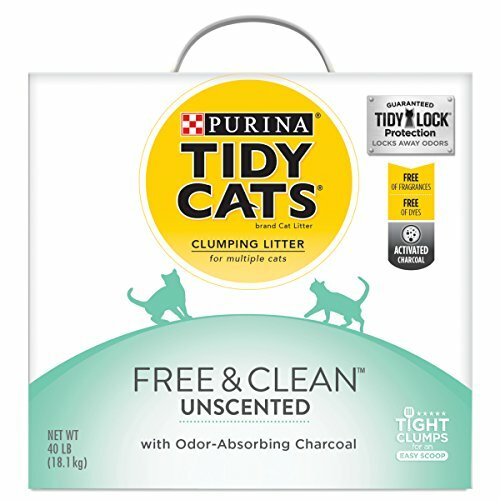 For one thing, this litter contains activated charcoal that absorbs the smells the second that your kitty uses his or her box. As such, they have no chance to escape. To add to this, the plant extracts in the kitty litter absorb airborne smells as well. Therefore, the air surrounding the litter box will continue to be fresh as well. Finally, there is an antimicrobial agent in the litter means that no odor-forming bacteria will form even if you forget to clean the litter for a while. What’s also nice about this litter is that it is of the clumping variety. As such, scooping waste out of your kitty’s litter will be a lot easier than before. There is also a lot less mess to deal with since the liquid level in the litter will be lower as well. The only downside to this litter is that there is some dust when you pour it and clean it out. So, if either you or your cat have respiratory issues, this may not be suitable for you or your kitty. 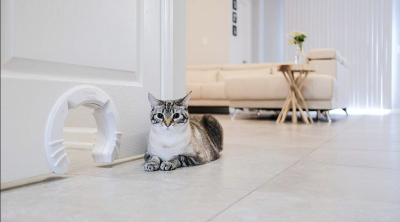 This cat litter works to trap the scent of your kitty’s waste almost instantaneously. As such, there is no chance for these unpleasant smells to escape the litter. This gives you a little bit of leeway in how often you need to scoop your cat’s litter box. 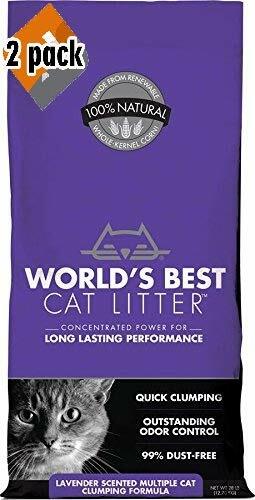 Now, this cat litter is also lavender scented. However, unlike many other scented litters, this fragrance here is added through natural lavender oil. As such, there is a lower chance that your cat might be irritated by the scent. What’s more, since it is natural, you don’t have to deal with that horrendous artificial fragrance. The litter is also pretty easy to clean up as well. This is all thanks to the clumping action of the litter. 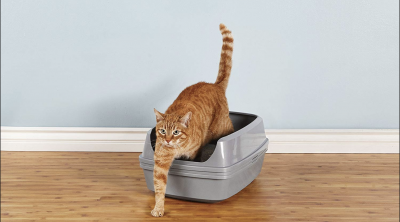 Since all of the moisture is absorbed, cleaning up your kitty’s litter box will be a lot less messy than before. In fact, if you want to, you can also flush the clumps down the toilet once you are done extracting them. For the most part, this is a dust-free formula and so, it is unlikely to find dust rising into the air when your kitty is using it. At the same time, you should know that this litter is rather lightweight. Due to this, it has a tendency to get tracked around your house. This is another litter that doesn’t give smells the chance to form in the litter box. This is because it works instantly to neutralize all unpleasant odors, including ammonia. Thanks to this, you don’t have to worry about the smells wafting out of the box, keeping the litter area cleaner for longer. To boost this odor neutralization even further, the litter also carries a light scent, by itself. Fortunately, though, it is a fresh linen fragrance and so, is minimal. Even if you aren’t a fan of scented litters, it is unlikely that you – or your cat – will notice or mind this fragrance too much. 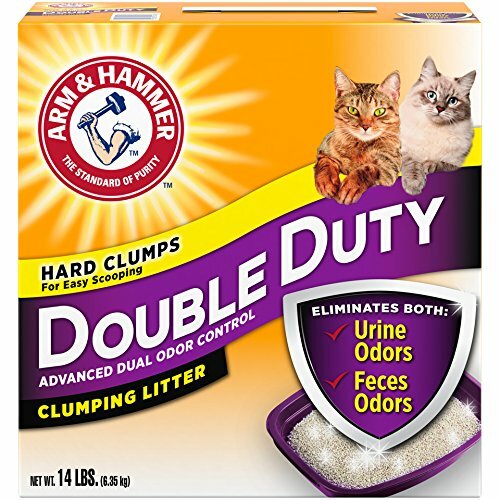 Another benefit is that this is a clumping litter. The particles work to absorb liquid immediately, allowing the waste to form into hard clumps. So, cleaning out the box really will be a breeze. There is also the fact that this litter barely tracks at all. If you are looking to keep a neat and tidy household, this is the litter that will help you do this. However, there is some dust with this litter but not an overwhelming amount. Still, if you want to keep the litter area a dust-free zone, you may find that this litter isn’t particularly helpful with that. This is a kitty litter that is specifically meant to deal with the obnoxious odors that your cat leaves behind. Due to this, the litter is well suited to trapping smells of all kinds of waste. This feature, of course, means that you will not have to clean out your cat’s litter box quite as often. Since it is a double duty litter, there is also a slight fragrance to the litter. Since this is quite mild, your cat will probably not mind it too much. The fragrance is strong enough though to make the litter box smell a lot nicer than before. This litter also works well as far as being easy to clean goes. It absorbs all the liquid from the litter immediately, allowing clumps to form. Then, it is simply a matter for you to pick them out with minimal mess. The litter has very little dust so you shouldn’t find it an issue when pouring or cleaning out the litter. The main issue with this kitty litter would probably be regarding the tracking. These smaller granules do stick on the bottom of your kitty’s paws. If you don’t have a mat under your litter box, you will find that it does get tracked around a bit. The biggest factor behind the odor control properties of this cat litter is the fact that it contains activated charcoal. The charcoal is capable of absorbing any waste smells, the moment that your kitty uses his or her litter box. The benefits don’t end here, though. There is also the TidyLock Protection technology. This technique works to trap the smells, ensuring that they don’t escape into the surrounding environment. So, even when you step into the area where your kitty’s litter box is placed, it is unlikely that you will sense anything. Another thing that you are sure to like about this litter is that it clumps incredibly well. 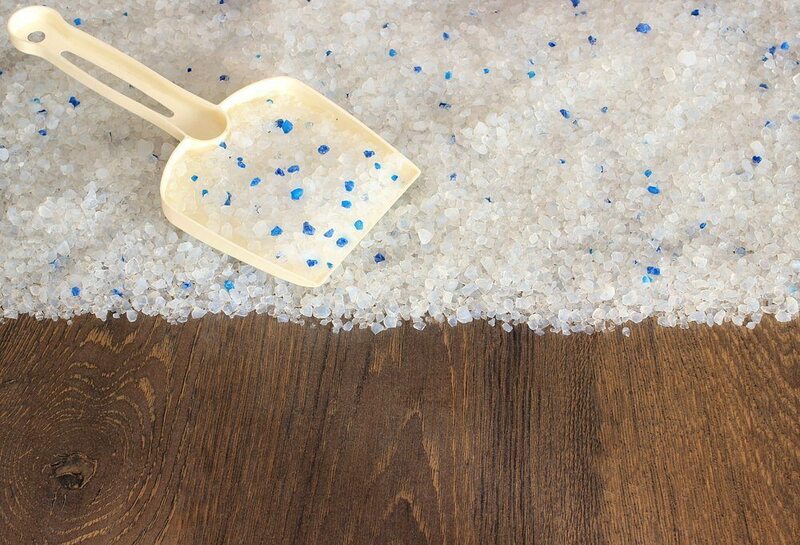 This reduces the mess inside the litter box and also makes for a much easier cleanup. In fact, you should notice that you will spend much less time cleaning up the litter box. Now, if your kitty has sensitive skin, this should be a good choice for him or her. The litter doesn’t contain any added fragrances or dyes and so, there is nothing to irritate your cat’s skin. At the same time, there is some dust that moves around when you pour or clean the litter. There are two different techniques here to keep bad odors at bay. The first is the activated charcoal that absorbs waste smells the moment that your kitty uses his or her litter box. Thus, there is no chance for the odors to leave the box or spread around. This is actually a good option if your kitty’s box tends to smell rather bad immediately after he or she uses it. In addition to this, the litter is also scented with Febreze. 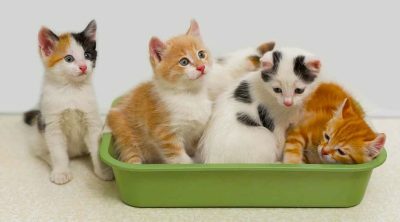 So, not only does the litter box not have any unpleasant odors, but it can also smell fresher for longer. 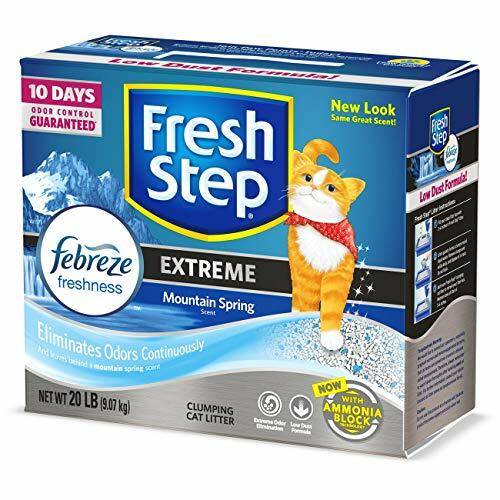 In fact, there is a good chance that when you use this in your cat’s litter box that it will stay fresh for up to ten days at a time. Yet another perk of using this litter is that it has ClumpLock technology. 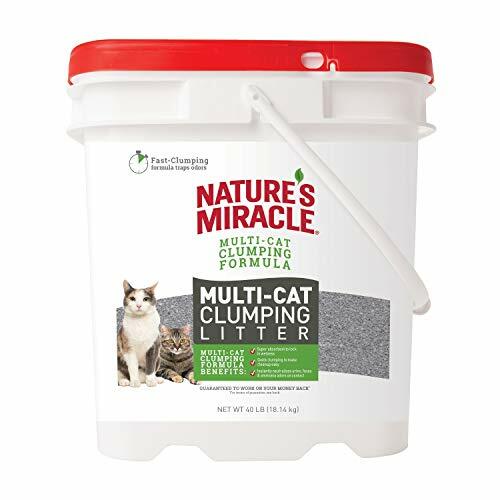 This ensures that all of your kitty’s waste is turned into clumps quickly. Furthermore, there is also less liquid in the litter box so that cleaning up the box is even easier than before. There is a little bit of dust when using this litter, particularly when pouring it. However, it is unlikely that your cat will be able to kick up too much of it when using the litter box. If you had to narrow down your search to just one odor control kitty litter, then the obvious choice would be Ever Clean cat litter. This works incredibly well to keep all odors at bay and uses a natural method – activated charcoal – to do it. 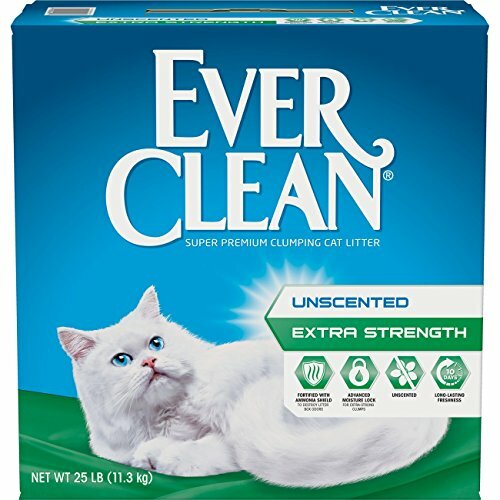 The litter is also unscented, making it suitable for a larger variety of cats. 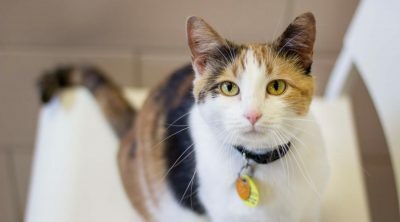 To add to these benefits, the litter is also easy to clean up and maintain, regardless of how finicky your kitty can be. 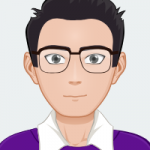 After going through all of this information, you should be more than capable of selecting the best cat litter for odor control. Then, both you and your cat will be able to enjoy a cleaner and fresher household. Oops! Was that dog poop you stepped in? Can Dogs Eat Pretzels: Salted, Unsalted or Sweetened?